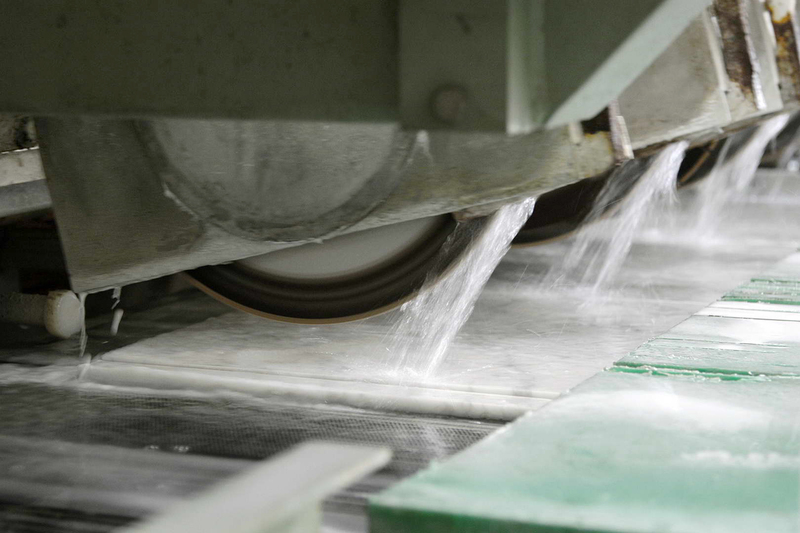 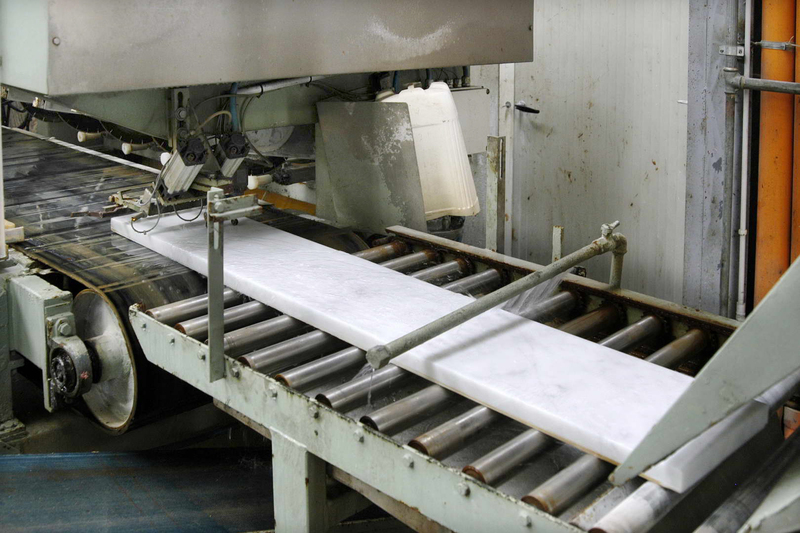 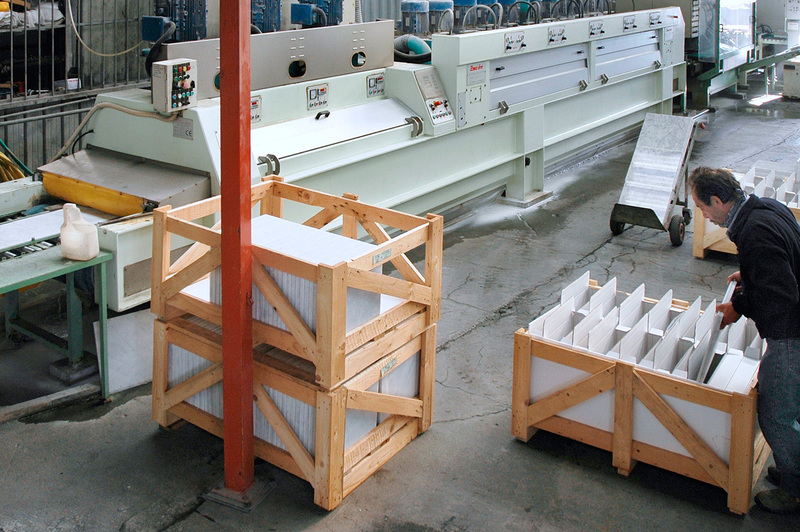 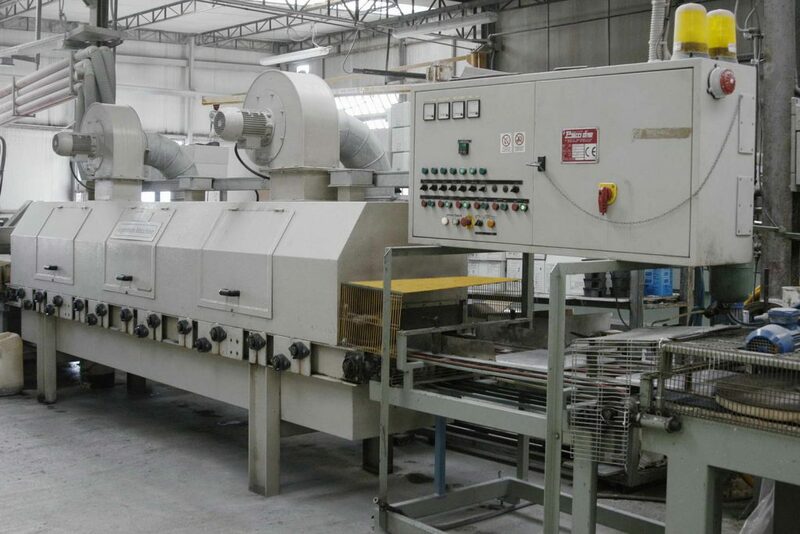 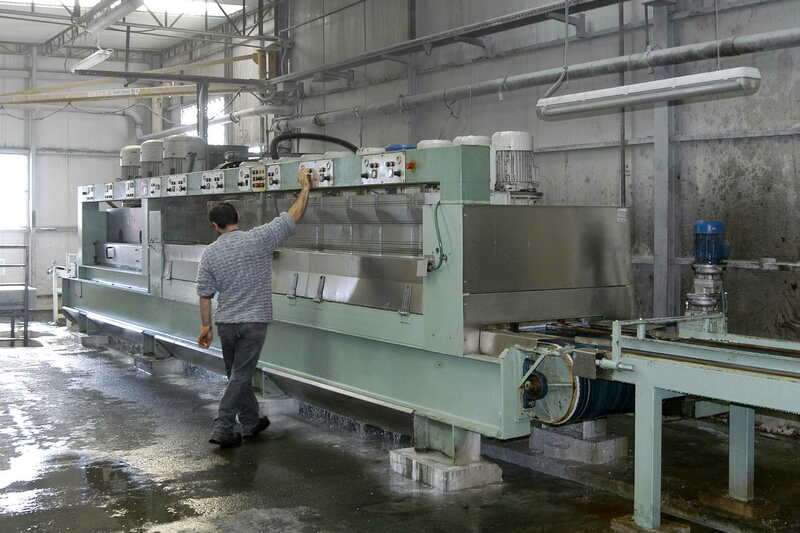 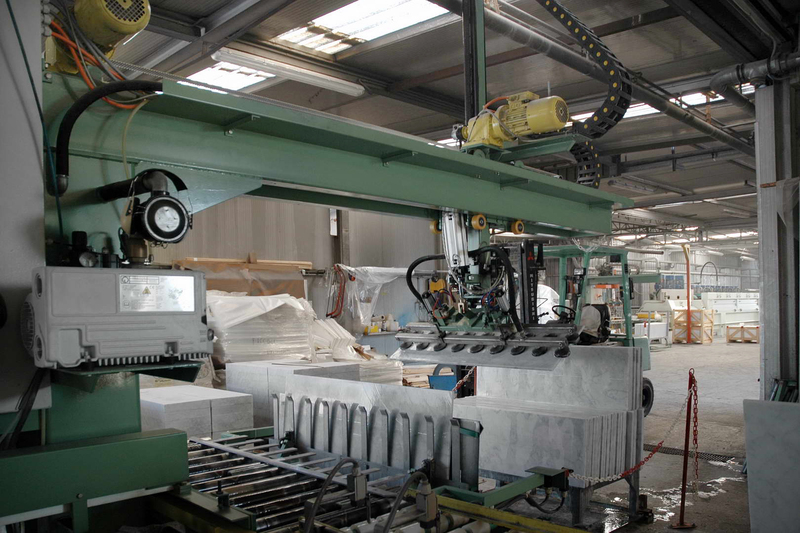 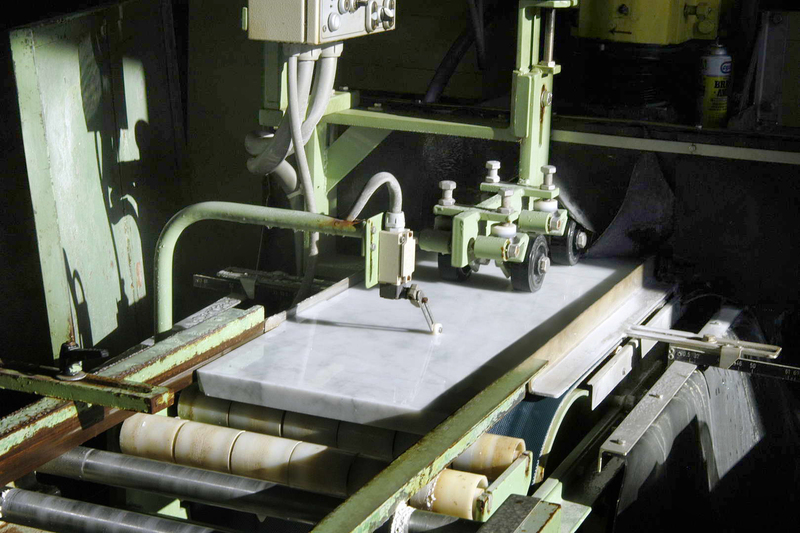 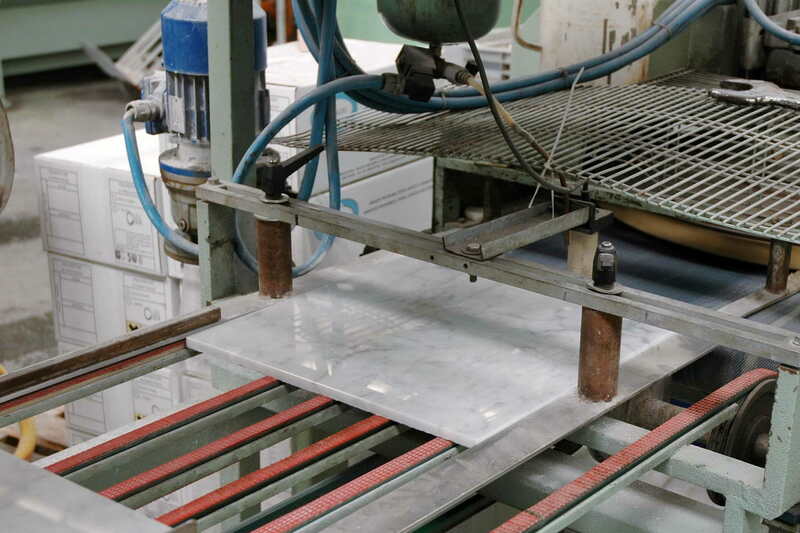 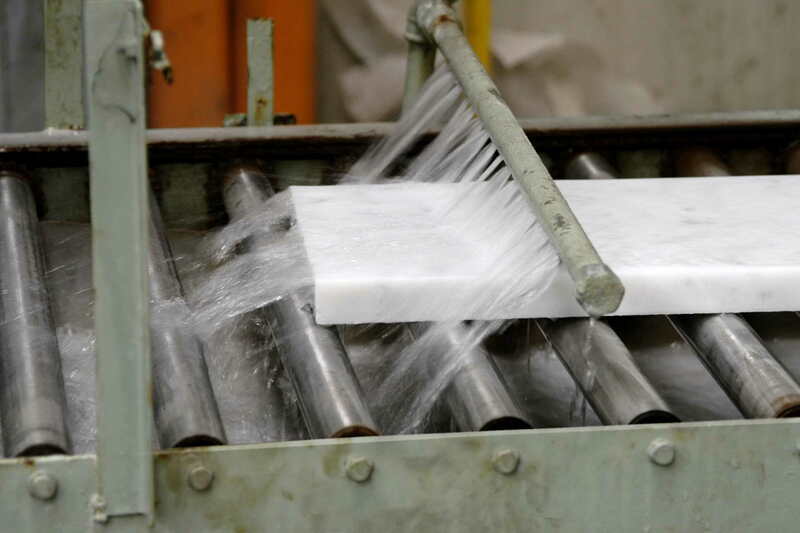 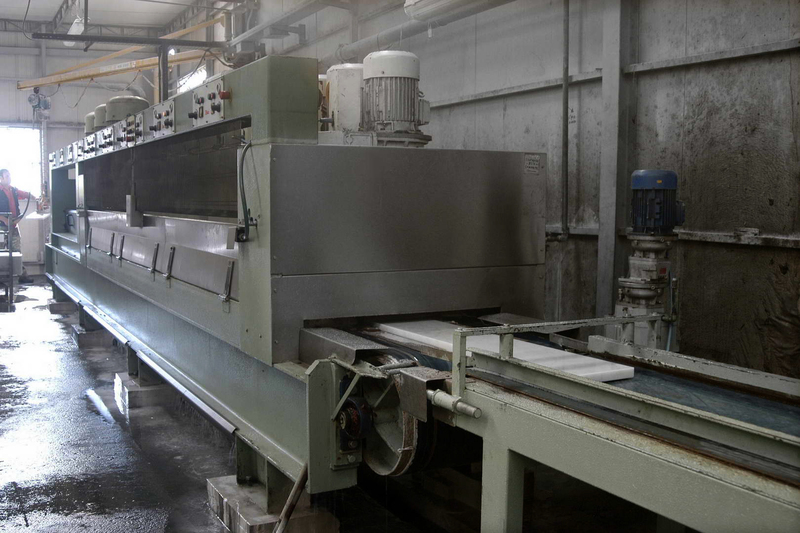 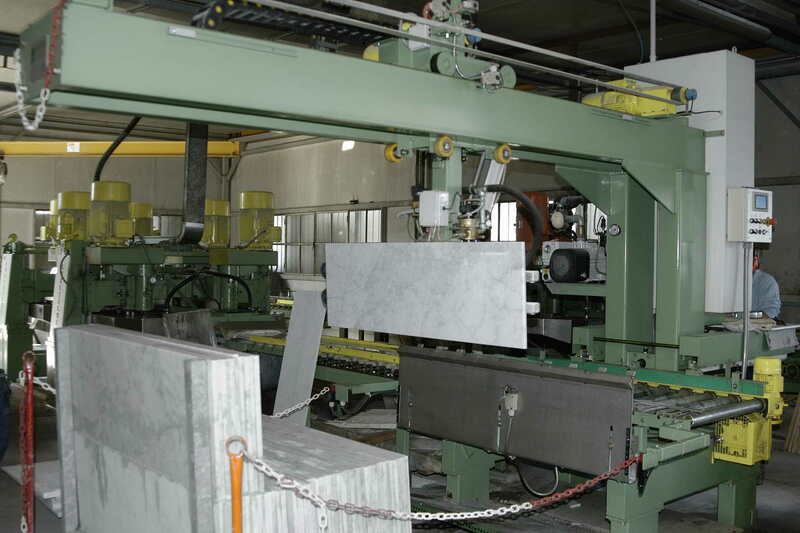 Production takes place in our processing plant where our Company Headquarters are situated. 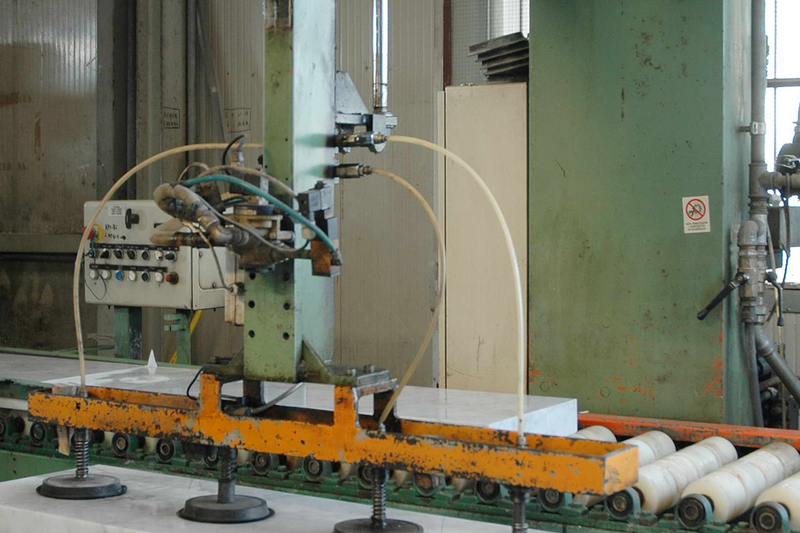 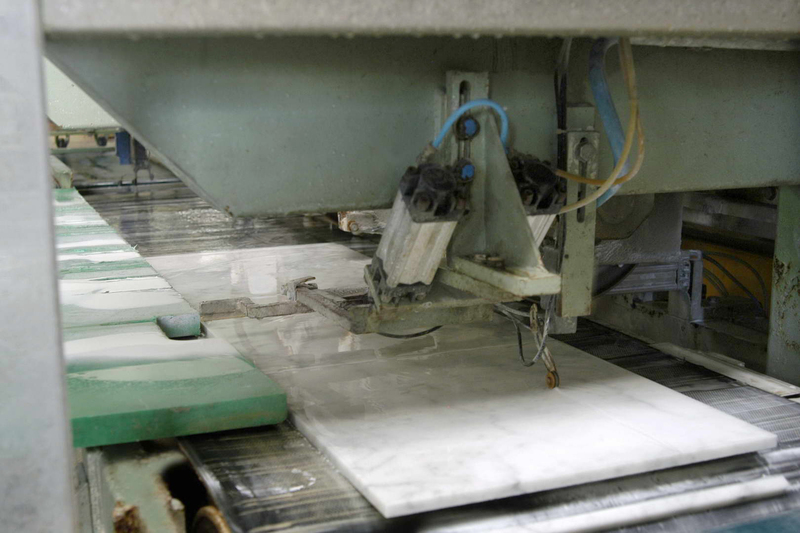 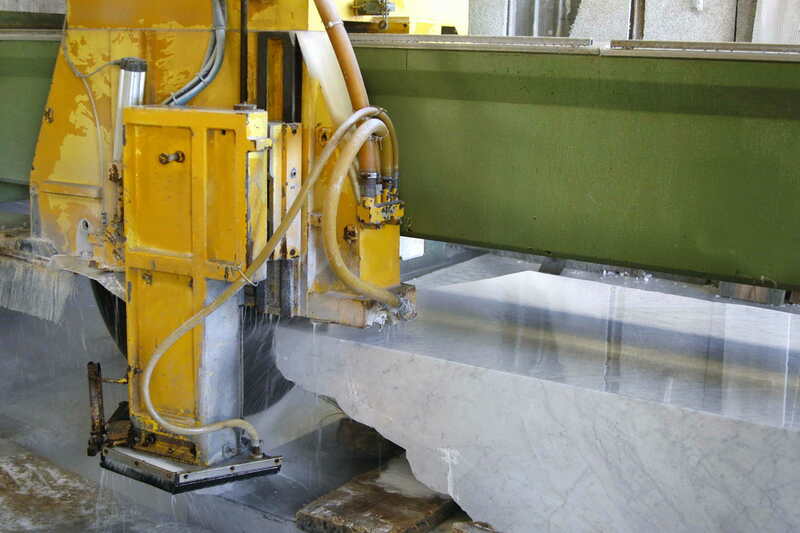 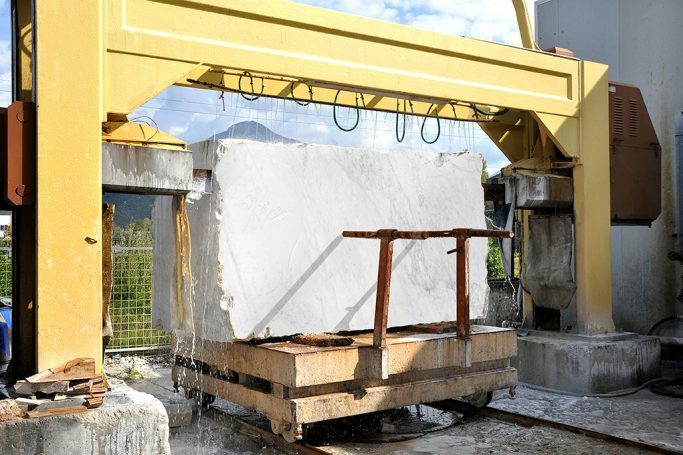 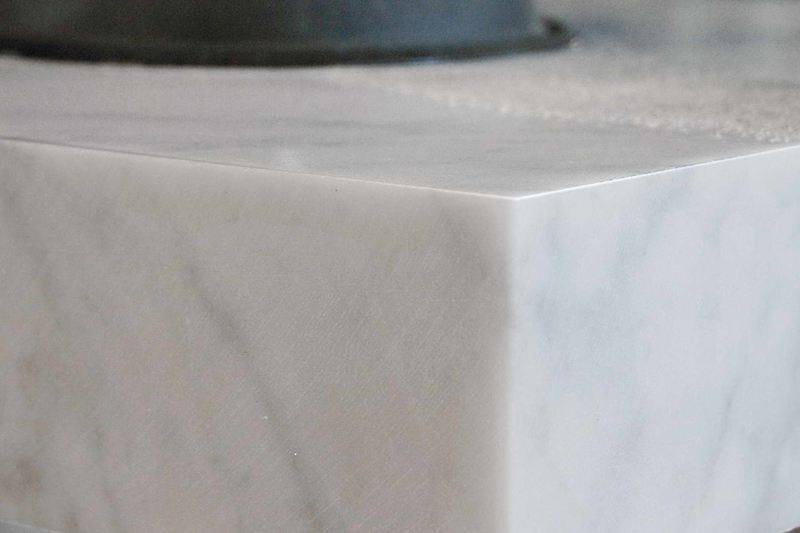 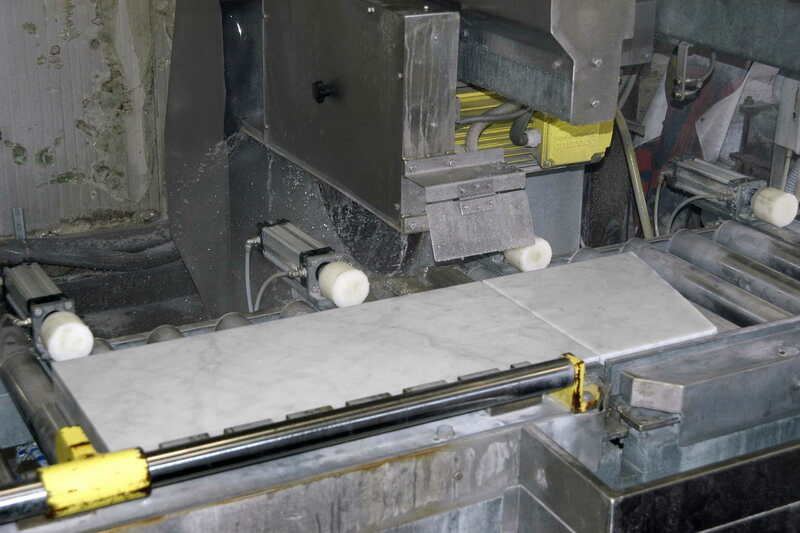 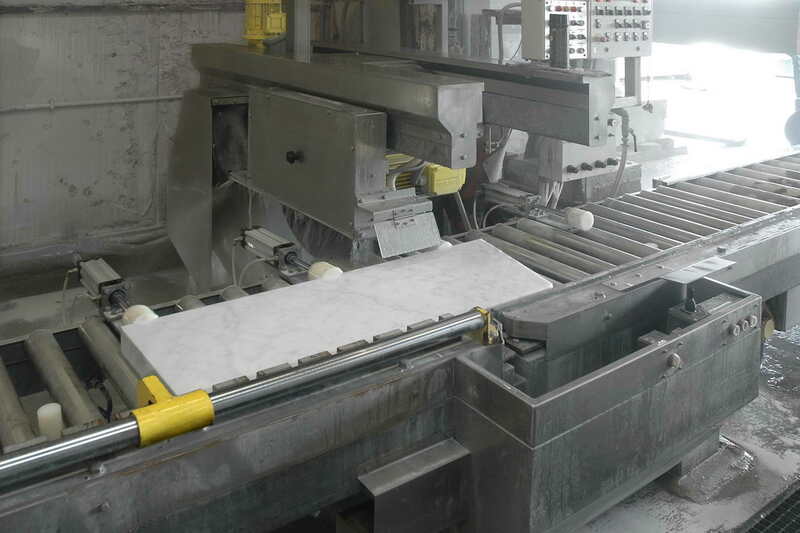 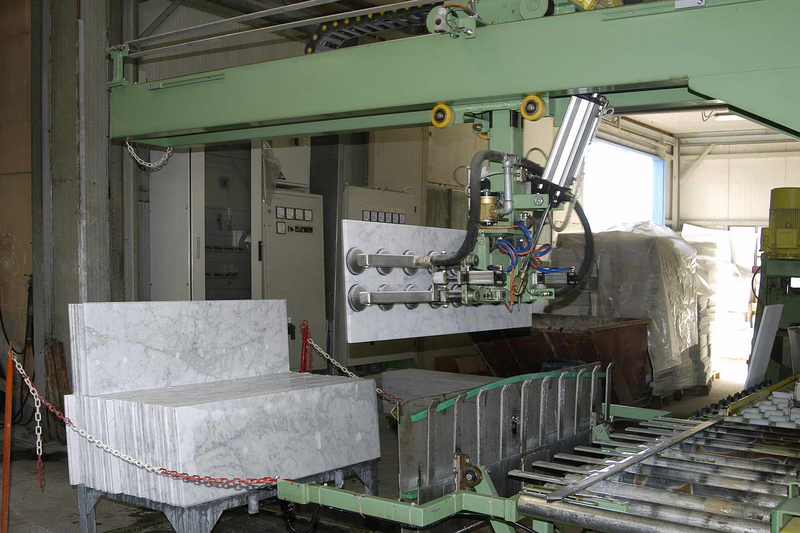 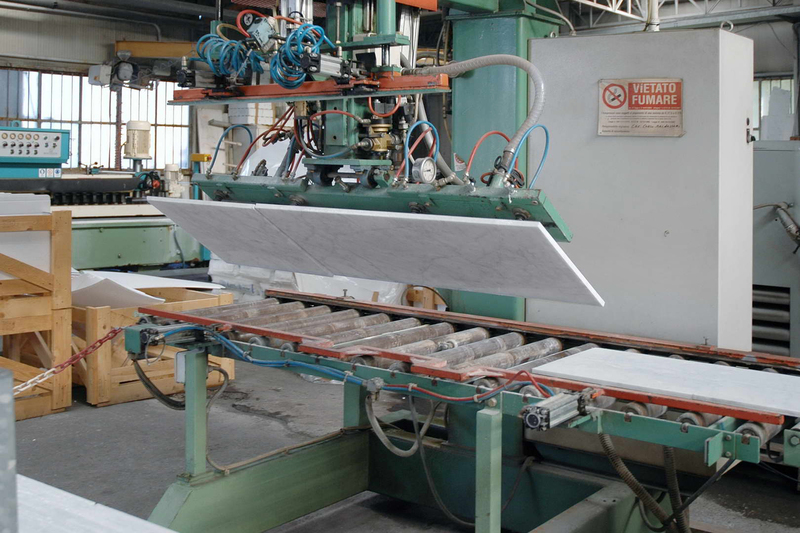 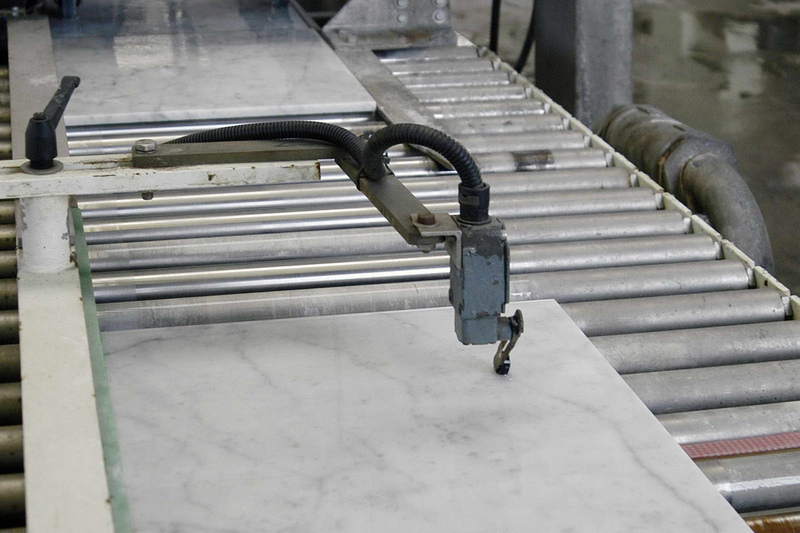 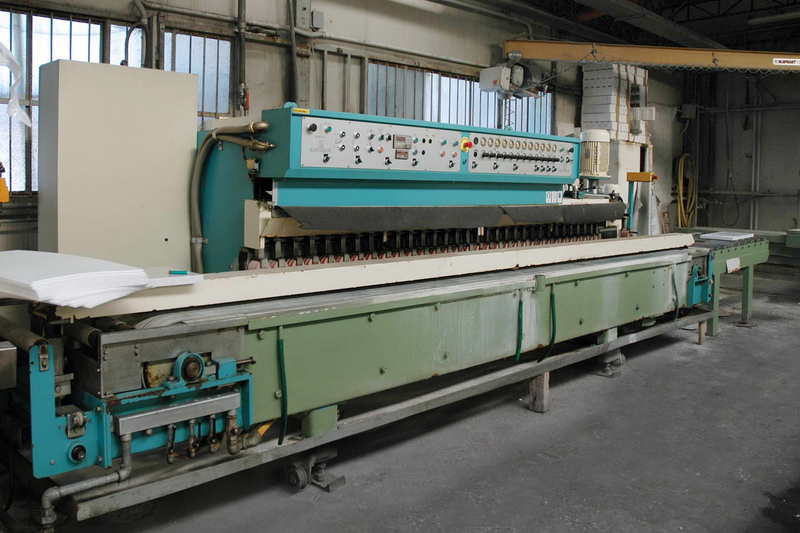 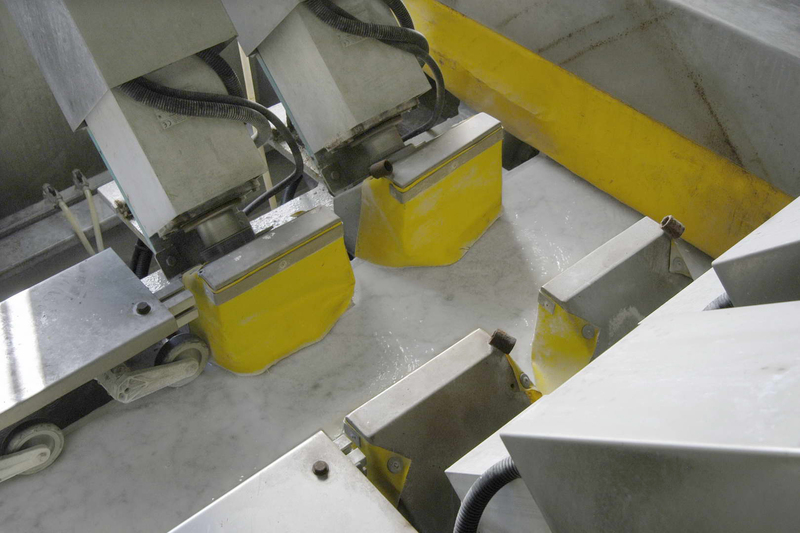 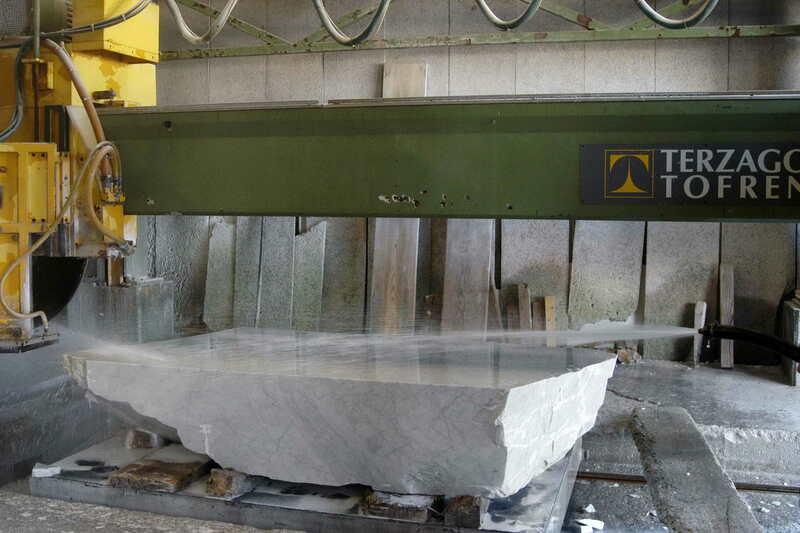 It begins with purchasing and cutting blocks to obtain thick strips, from which we make our modular tiles. 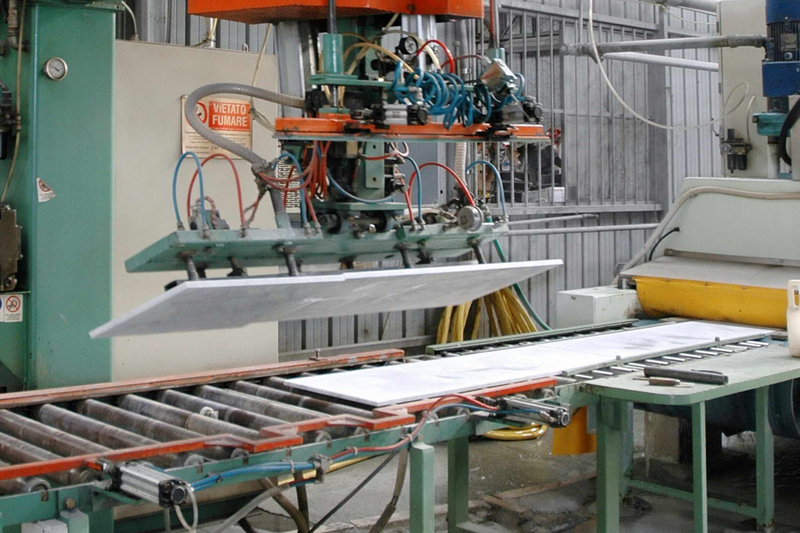 Our facility has a full production line equipped to take on orders of any size, from the smallest to the largest. 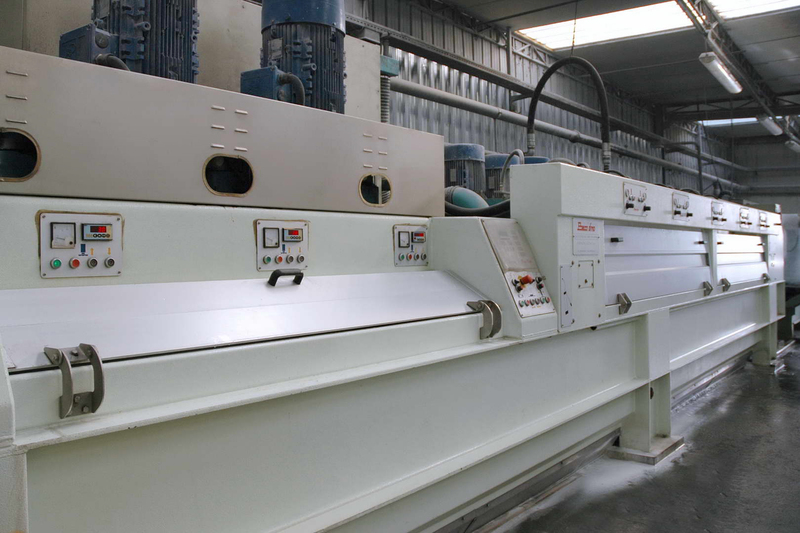 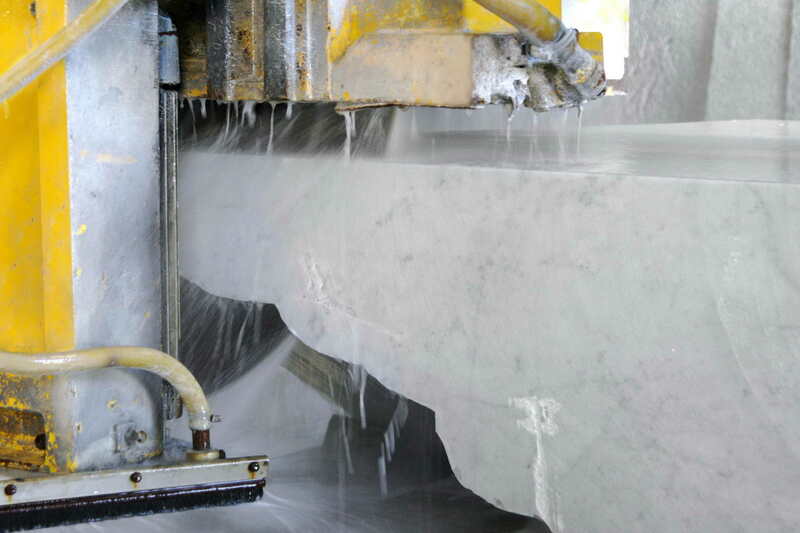 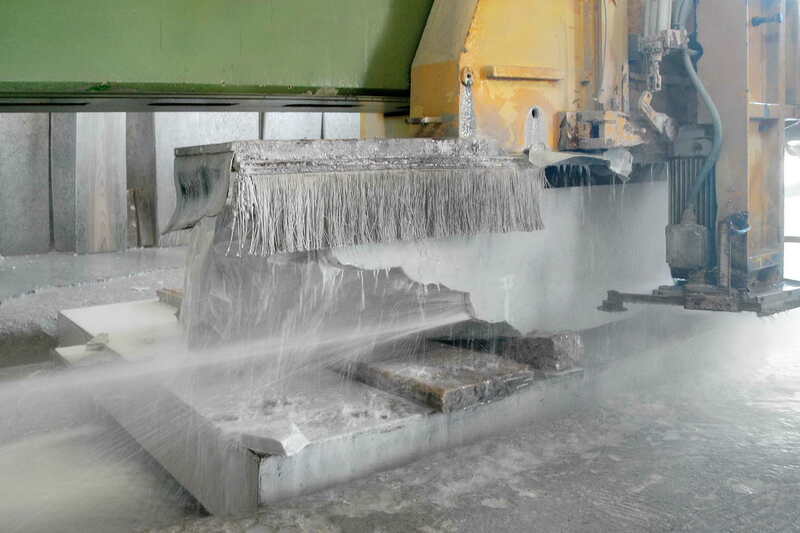 Processing is monitored throughout the entire production cycle (strip cutting and splitting, precision gauging and sizing, surface finishing, shaping and bevelling) and is carried out on Cnc machines that ensure a continuous cycle, and achieve accurate tolerances to minimum degrees of size and thickness. 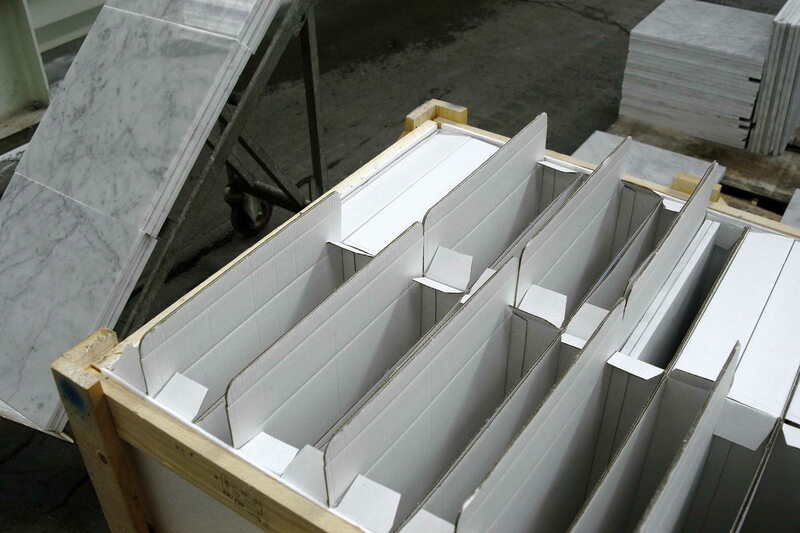 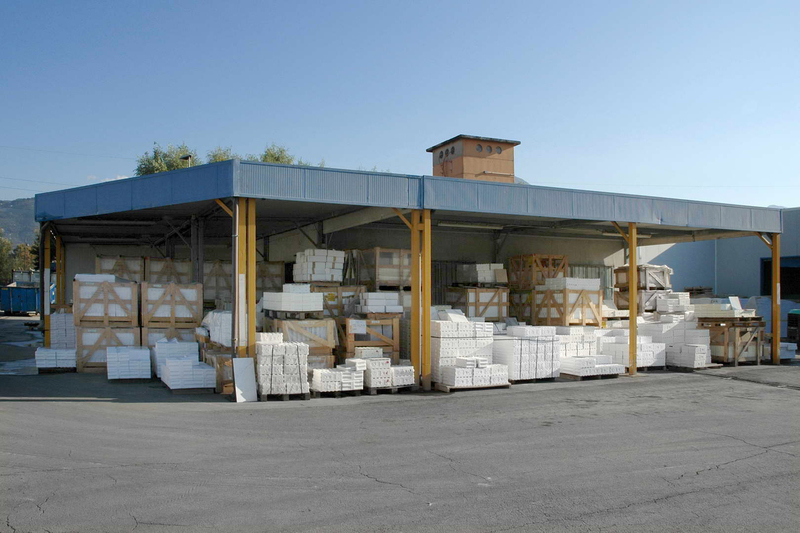 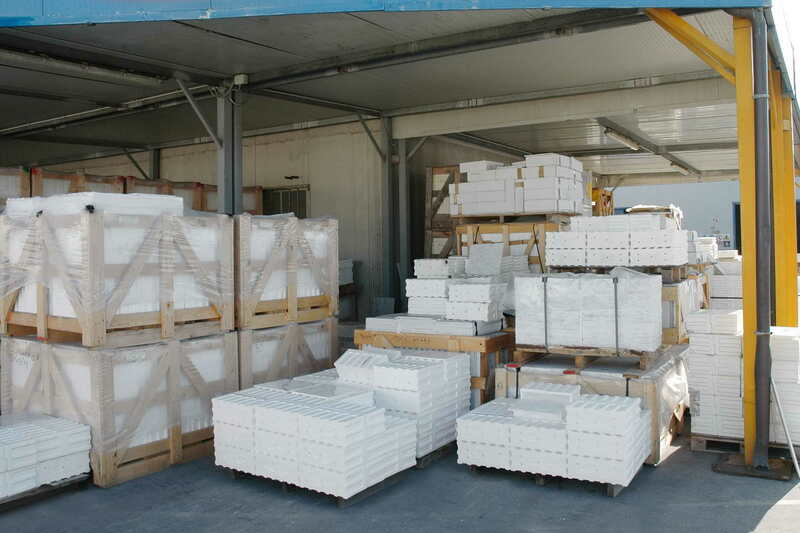 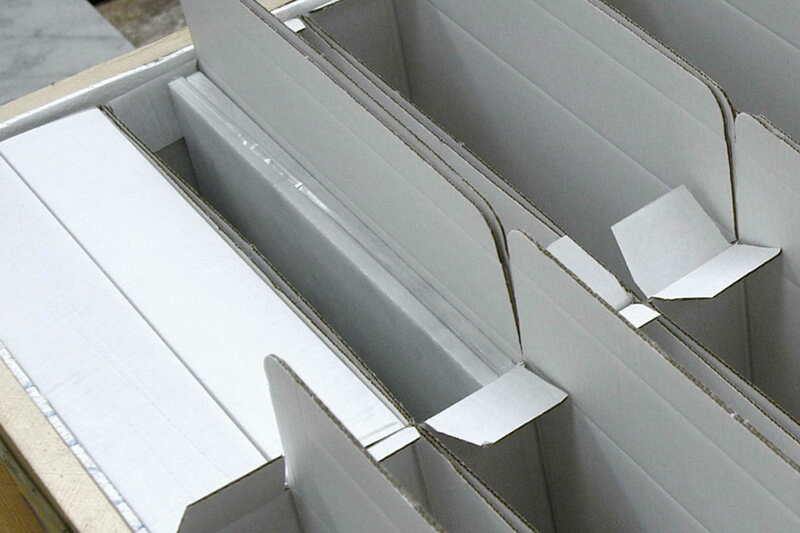 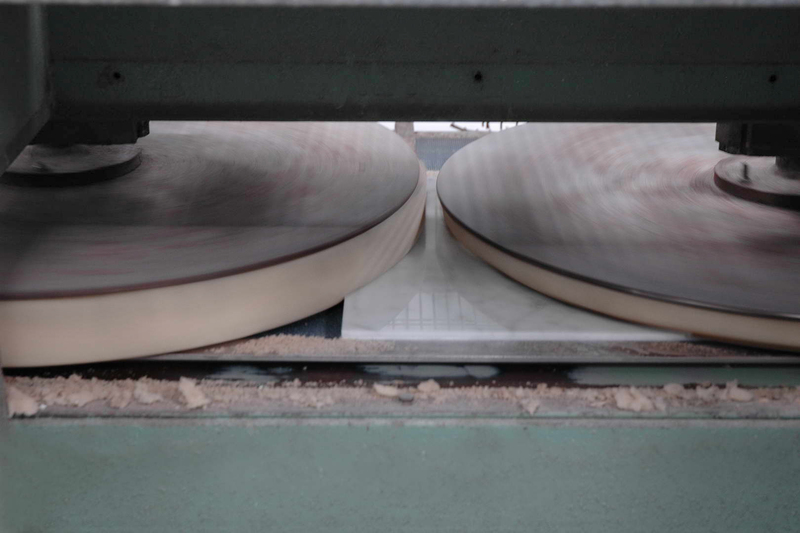 At the end of the cycle, an operator will pack the tiles in special boxes or crates ready for shipment.